The Brain Balance Achievement Center of Charlotte is a an integrated approach to tackling SPD. At Brain Balance, we believe that the most effective strategy for helping your child overcome Sensory Processing Disorder is by finding the root of the issue. 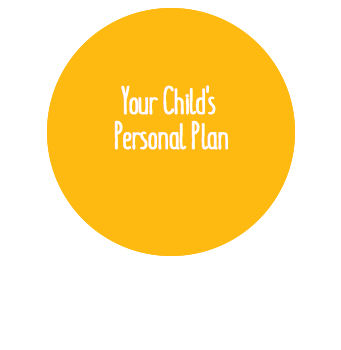 If you have a child with a Processing Disorder, Brain Balance Achievement Center of Charlotte can help to develop a customized plan just for them. Enroll your child in Charlotte’s Brain Balance Program for the best option for your child. Whenever a child is enrolled in our program, we first give them a personalized assessment. The assessment allows us to see your child’s strengths and weaknesses in different areas of function: motor, sensory, behavioral, social, emotional, and academic. Once we understand your child’s areas of strengths and weaknesses, we create a custom program for them in which we combine in-center sessions with at-home activities to help your child succeed. Your child’s personalized program will include sensory motor training and simulation, academic activity plans, and dietary guidelines that are crucial in SPD program. To learn more about how Brain Balance Center Achievement Center of Charlotte can help children with Sensory Processing Disorders overcome their challenges to get back on track, please call 704-540-6363 today. We’d be happy to schedule a personalized assessment for your child!